After toiling over the writing, editing, audiobook production and publishing of Banish the Blues Now, I have just received my first reader review from Philippa Shallcrass of London, England. “When I first saw Banish the Blues NOW by Catherine Carrigan, I wrongly thought this book is not for me, I don’t suffer from depression! Well, having read the book, I urge not only suffers of depression to read this book, it will be invaluable to family,friends and professional carers, anyone dealing with a depressed people. Catherine has well researched this book, it is easy to follow. She gives us a Holistic ways to treat depression. Showing not only the pharmaceutical way helps with recovery. depression. Suggesting going to your health practitioners for test for a few different problems like thyroid imbalance and others. It is a self help book and you have to work out what is best for you, Catherine gives insights into how to deal with managing yourself. show. I’m personally a great believer in Flower Essences. Catherine is realistic, she suffered for a long time herself, she says there is no one magic pill, it’s working on differing aspects of oneself. I appreciate everyone who takes the time to read and share about my books, as it is my soul desire to be of service in some small way on this planet. In the U.S., please visit this link. In the U.K., please visit this link. At the present time, I am also excited to report that Banish the Blues Now is still the No. 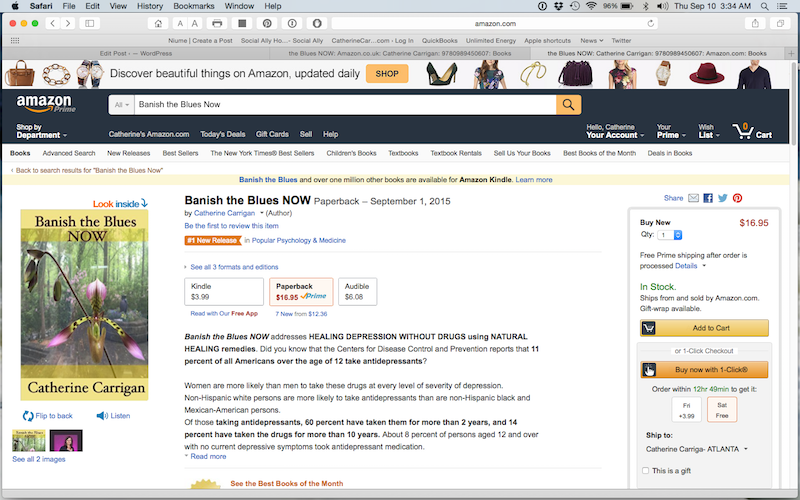 1 new release in Popular Psychology and Medicine on the U.S. Amazon. 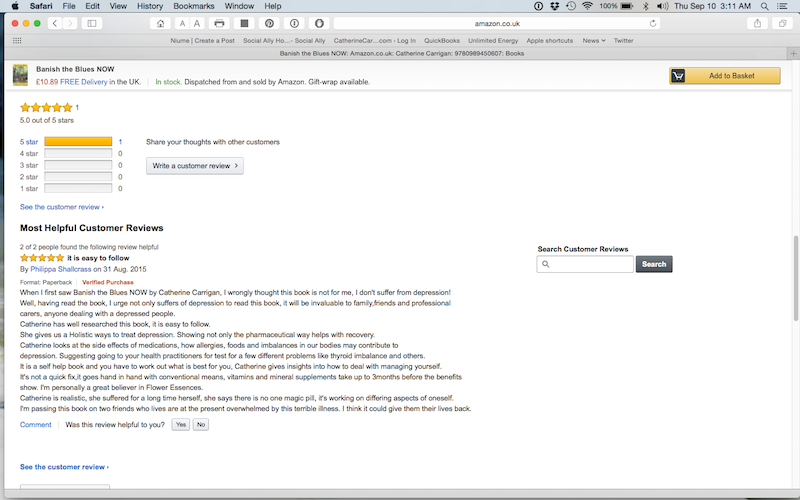 My goal with this book is to shift the paradigm towards alleviating depression with effective natural healing remedies. Let’s share about what actually works so that those who are suffering the blues can receive the help they need to feel happy once again!